The Baden-Powell is pleased to recommend the following accommodation options for foreign students studying at the school and visitors to Morelia. Staying in a Mexican household has a number of advantages for foreign Spanish language learners, and is one of the best ways to introduce yourself to the Mexican way of life. You will be provided with a private room, three meals a day, and a guarantee that you will be the only foreign student staying with the family. It's a great way to practice speaking Spanish when you're not at school. Homestay prices include meals and accommodation. 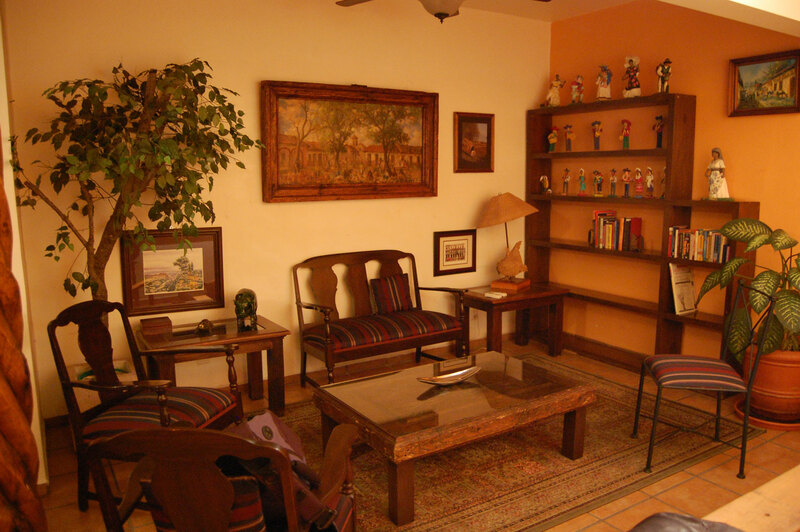 We also offer accommodation in our fully furnished, colonial-style apartment complex, centrally located in the historic center of Morelia. Each apartment comes with everything necessary to make your stay a comfortable and relaxing one. Amenities include: Fully equipped kitchens, wireless Internet, cable TV, CD players, housekeeping and fresh linen. Click here to check availability or reserve your apartment. Two bedrooms, Kitchen, Bathroom with shower, Dining Area. Sleeps 4 people. Two bedrooms, Kitchen, Bathroom, Dining Area. Sleeps 4 people. One bedroom, Kitchen, Bathroom, Dining Area. Sleeps 2 people. 3 bedrooms, Kitchen, 2 Bathrooms, Dining and Living Area. Sleeps up to 6 people.